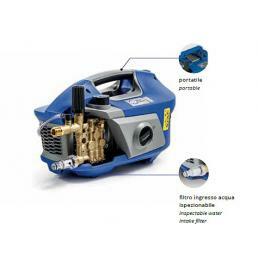 On Mister Worker™ you can find a selection of professional Annovi Reverberi high-pressure cleaners at a special price: hot water high-pressure washers, cold water high-pressure washers and petrol engine high-pressure washers. Discover all the Annovi Reverberi offers now! 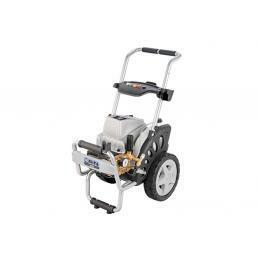 We decided to include Annovi Reverberi inside Mister Worker™ catalog to give you the opportunity to test the power of these high quality professional high pressure washers. With our special offers you can renew your work equipment with highly professional high-pressure cleaners from one of the best brands worldwide. Here are some examples of Annovi Reverberi special offers! 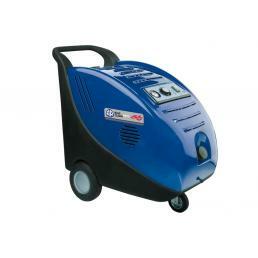 This high-pressure cleaner mounts a professional Honda engine, which guarantees maximum performance in every situation. 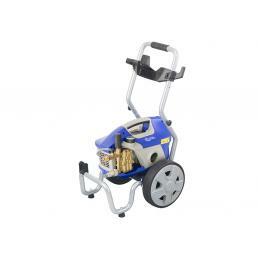 It has a trolley with a practical handle and two rubber wheels, useful to move it on different surfaces, and it is equipped with anti-vibration feet to ensure maximum safety during use. 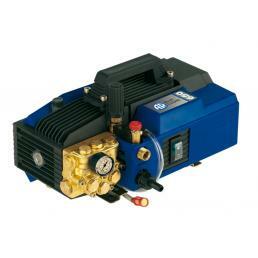 The piston pump has a connecting rod-crank system, and the head is made of brass: it has an integrated control valve that allows you to better manage the water jet and adapt it to the job you have to make. In addition, it has a level sensor that warns you when the oil is missing. 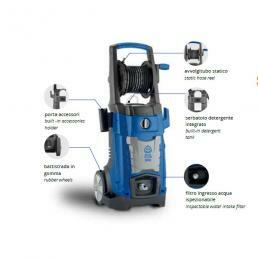 This cold water high-pressure cleaner is part of the Annovi Reverberi Blue Clean line, designed specifically for a professional use. It has a ceramic three-piston pump, with connecting rod-crank system, and in the head has a practical automatic safety valve with zero pressure. 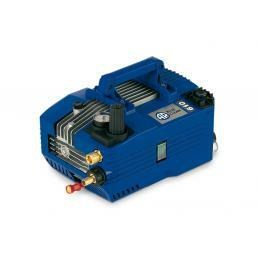 It has an induction electric engine with thermal protection to avoid overheating. 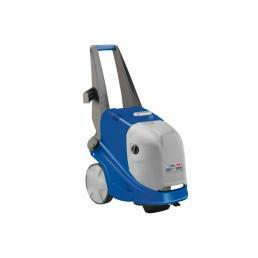 In addition, it has a built-in tank for liquid detergents, equipped with automatic suction. 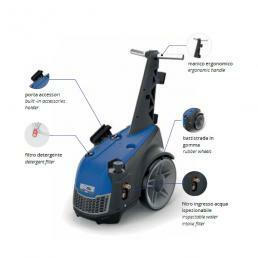 Even this hot water high-pressure cleaner is part of Annovi Reverberi's Blue Clean line, designed specifically for professionals. 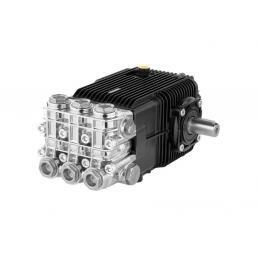 It has a three-piston pump in hardened stainless steel, controlled by an oscillating plate, and in the head it has an automatic by-pass valve with zero pressure. It mounts an electric induction engine with thermal protection against overheating, and has a safety pressure switch that automatically turns off the boiler when there is no water. 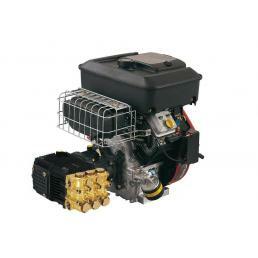 The diesel tank has a capacity of 4 liters, and is equipped with an intake filter. If you are looking for a professional pressure washer, do not wait any longer and take advantage of Annovi Reverberi special offers on Mr. Worker™! Thanks to our discounts reserved for our customers, you can finally buy a high-pressure washer: hot water, cold water or petrol engine, you can keep your workshop clean.